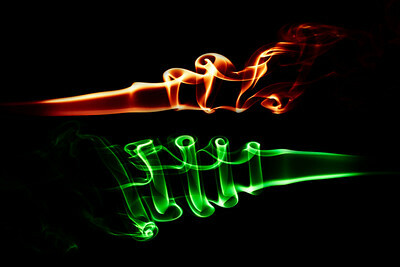 The first time I saw a photograph featuring smoke trails, I fell in love. I enjoy capturing these images and share my favorites with you. 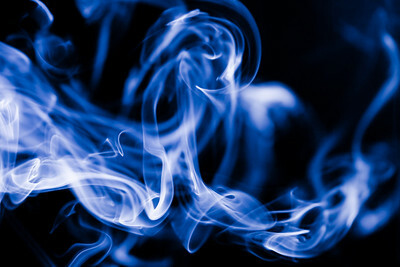 I always love taking photos of smoke. Each shot is different and with some creativity during the post processing you can get nice compositions. In this case I combined to different photograph, I add some color in this is the result. By the way, I recently write an article showing how to capture and process this kind of photograph, you can read it here. Do you like this photo? Get Your Print or download it as a wallpaper. Aromatic incense sticks are used by many people for their pleasing fragrance. 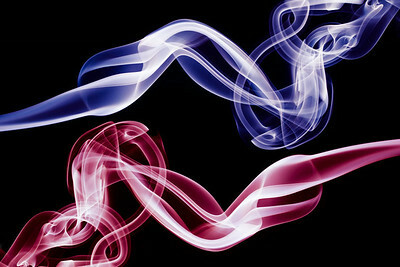 But, if you pay close attention, you always will be amazed by the nice and geometrical forms of the smoke. In this image, I was surprised by these strange forms; they truly look like fish trying to escape from the smoke!Do you like this photo? Get Your Print or Download it as a wallpaper. It has been a while since I shot smoke. This kind of photography is always fun and a huge source for abstract photographs. Do you like this photo? Get Your Print or Download it as a wallpaper. I always wanted to photograph some smoke trails, so today I started experimenting with the subject. I also wanted to leave my mark, so I start shooting close with my favorite kind of lens, a macro lens.Do you like this photo? Get Your Print or Download it as a wallpaper. Yesterday I started shooting smoke trails. I wanted to capture something different from usual, and I decided to put my hands on it, literally. I tried to capture the smoke with my bare hands. Turns out it was quite difficult, but not impossible. The idea was to produce a mystical image with powerful lights and shadows. 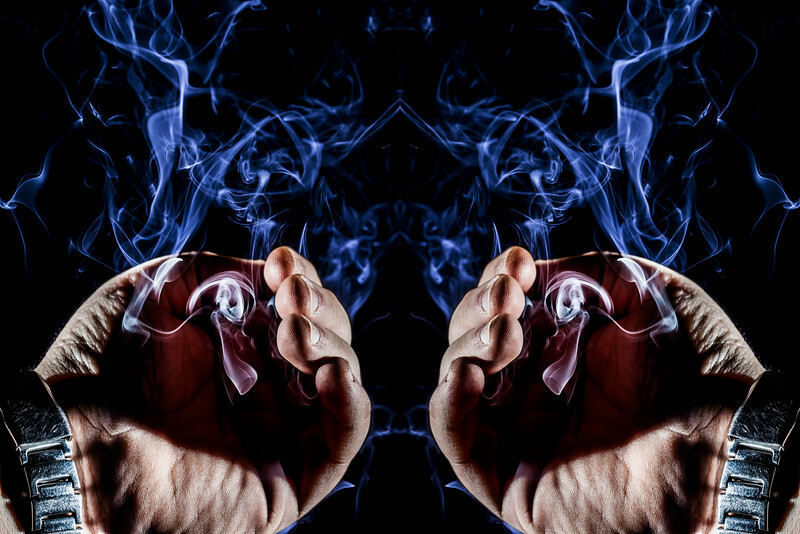 The big surprise with this image was during post processing, when I realized how fabulous and mysterious the smoke display is by duplicating and mirroring the original photo. Do you like this photo? Get Your Print or Download it as a wallpaper. Yesterday I started shooting smoke trails. I wanted to capture something different from usual, and I decided to put my hands on it, literally. I tried to capture the smoke with my bare hands. Turns out it was quite difficult, but not impossible. The idea was to produce a mystical image with powerful lights and shadows. 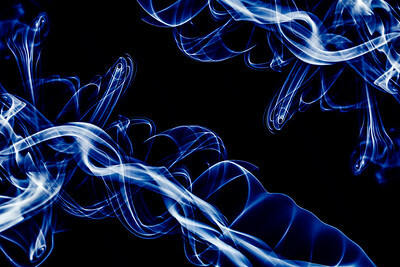 The big surprise with this image was during post processing, when I realized how fabulous and mysterious the smoke display is by duplicating and mirroring the original photo.